Surrounded by almost 3 acres, this vintage home stands proudly on a corner lot in the center of town. 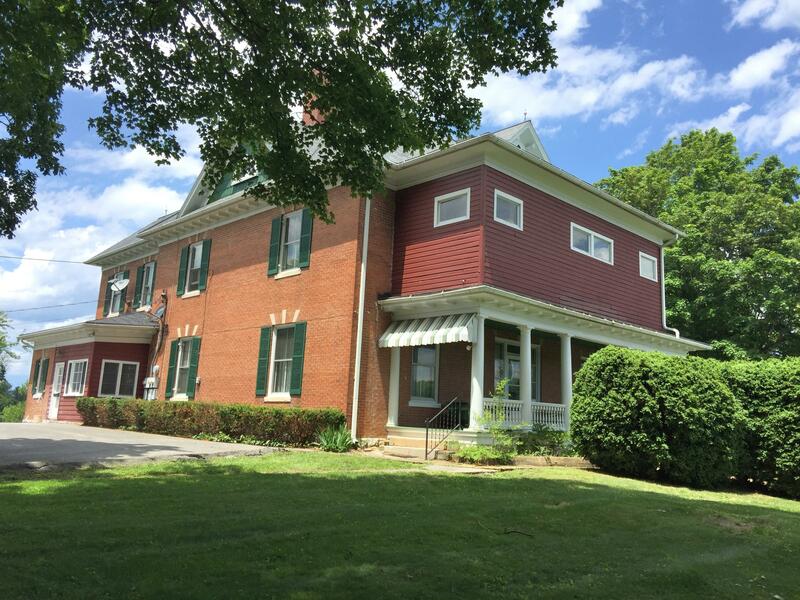 A great opportunity to own this historical home while generating revenue from the 2 apartment units upstairs & the 4 unit apartment building on the grounds. The kitchen & pantry have been freshly painted. New flooring & kitchen countertop. One of the main level baths has fresh paint. Just installed a NEW gas furnace & 2016 a new natural gas water heater for the main house. In 2015, repairs were done to the slate roof, chimneys repointed & flashing redone. Over the years upgrades have been done to revive this ''ole girl'' Take a tour of this stately home & re-visit yesteryear! The listed number of rooms, baths & bedrooms are only for the main house. Front porch is work in progress.